Carnarvon Motorcycle Club is an incorporated club located approx 1,000km north of Perth in Western Australia. We are a motocross club with junior and senior classes and are affiliated with our state governing body Motorcycling Western Australia. 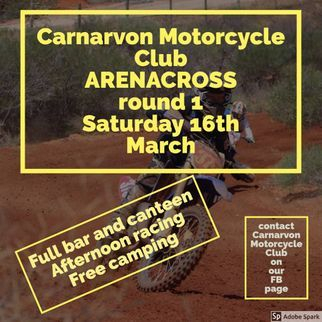 You wont be disappointed when you come down to catch the action with FREE SPECTATOR ENTRY for each round and grassed shaded spectator area overlooking the racing action, children's playground with canteen and licensed bar. 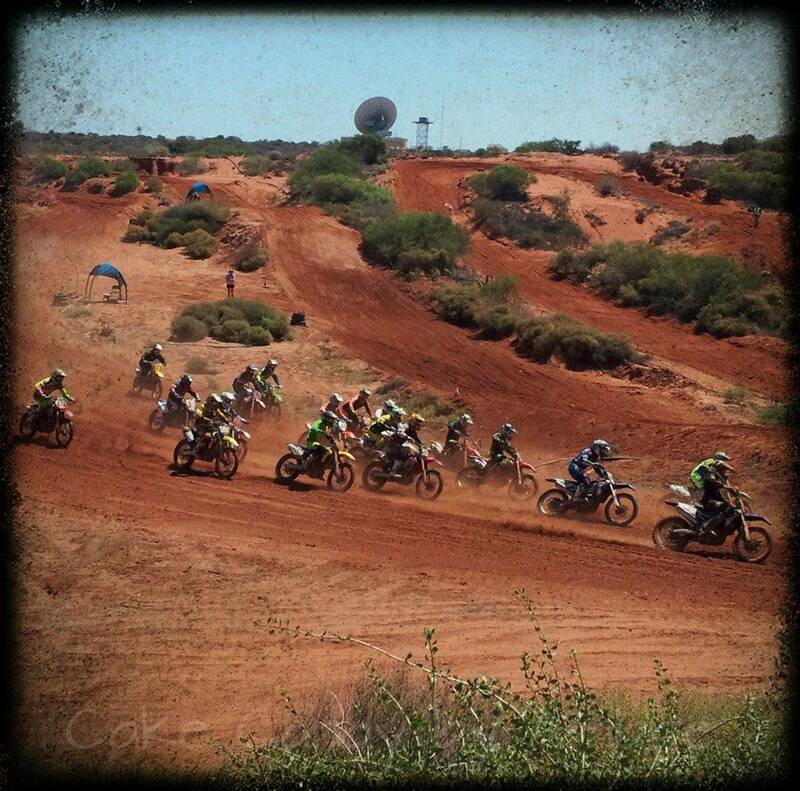 The Carnarvon Motorcross track is now open for recreational riding on Fridays and Sundays usually 3pm onwards. Follow us on Facebook to keep up to date with all our events. Cost for unlimited riding on these days is ONLY $5 per rider. 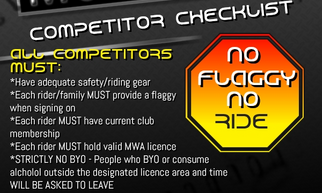 All riders must be financial members of the club and hold a relevant MA licence. A FREE 3 month licence is available to eligible members, please enquire. 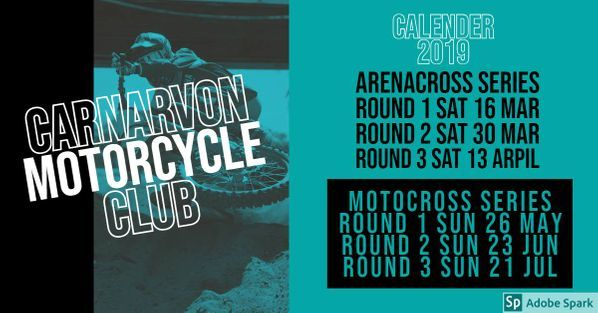 FOR THE FIRST TIME EVER IN OUR CLUB HISTORY - WE ARE HOLDING AN AFTERNOON ARENA-X SERIES. ONLY 12 GATES PER CLASS - GET IN QUICK SO YOU DON'T MISS OUT! Cost for rider nomination is $25 and is inclusive of transponder hire. A competition licence is required for this event national and one-day licences available.